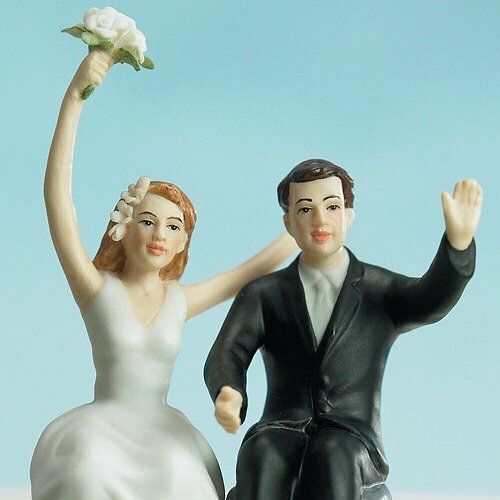 Can't wait for the honeymoon to begin? 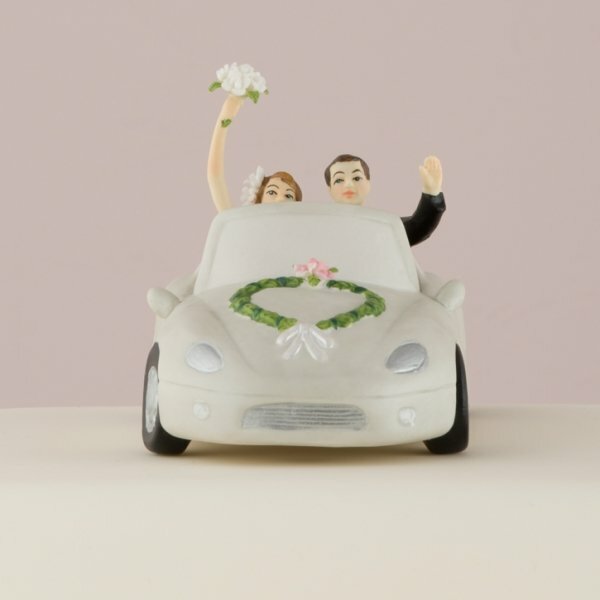 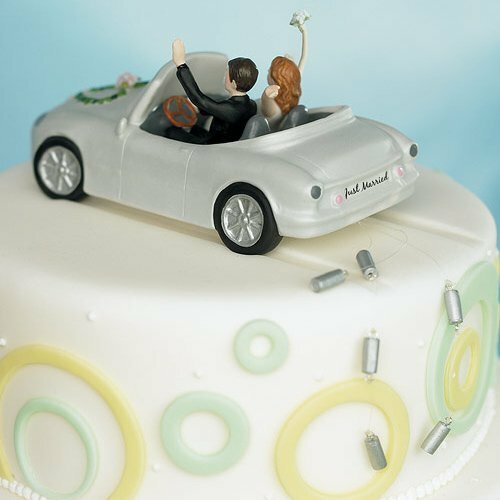 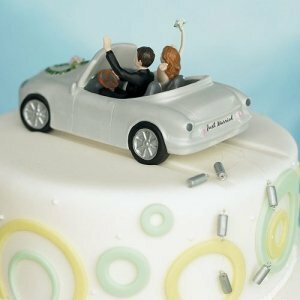 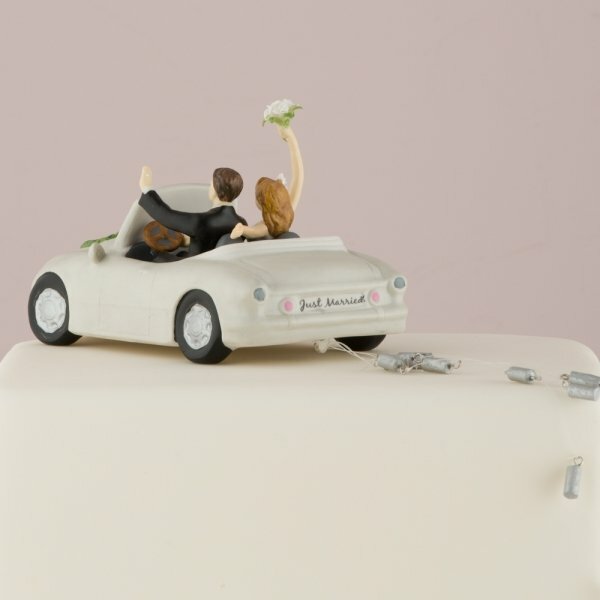 This classic convertible is ready to drive right off your cake into the sunset with the happy newlyweds inside. 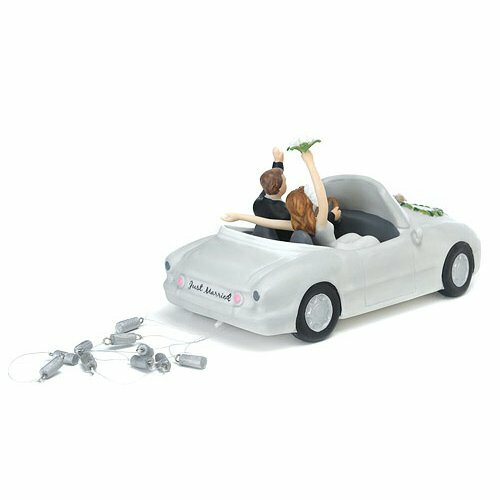 Made from hand painted porcelain, the realistic miniature piece features a heart shaped decoration on the hood, "Just Married" on the bumper with trailing cans tied on the back, too. 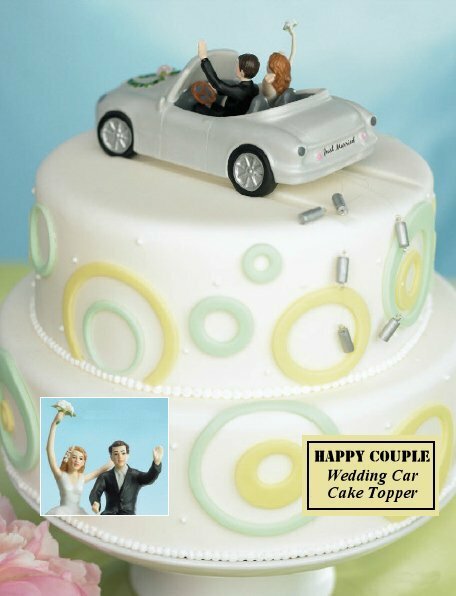 Add some dimension and some humor to your cake! 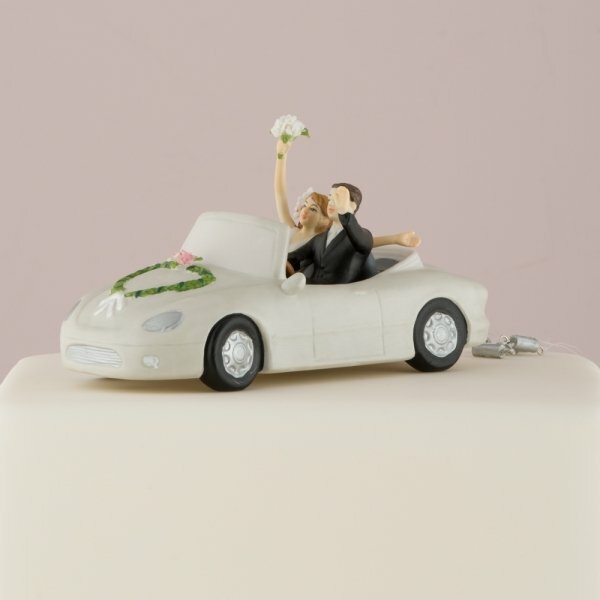 Product dimensions - 6" long and 3-1/4" tall.